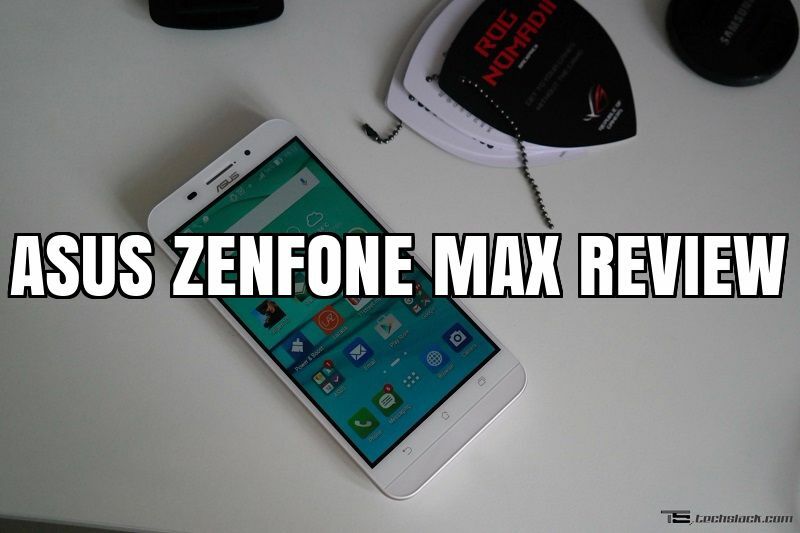 Not too long ago I did the Unboxing for this battery monster, the ASUS Zenfone Max is a true keeper for those who want a smartphone which can provide you a massive battery life without having to carry your power bank around. I have used this for about two weeks and finally would love to put my experience into words that could be the answer for those who are serious about getting this smartphone. Your ultimate user experience review starts now. The design on the Zenfone Max is totally different compared to the Zenfone 2 series. The most noticeable change will be the placement of the volume rockers and power button which is now placed on the right side of the phone rather than the back and top placement. For me the design on the Zenfone Max is classy and premium with its metal sides which I assume its still plastic. The back cover is removable and you can place your Micro SIMs and Micro SD card. However you can’t remove the battery as its non-removable. Also noticeable will be the main 13MP f2.0 camera paired with Dual Tone LED and Laser Auto Focus. Speaker grills can be found on the bottom back of the phone. Do take note that the black color Zenfone Max has a leather-like finish on the back cover while the white version has a matte finish without the leather-like to be found. On the front, the physical back, home and apps button is present as how it is on any other ASUS smartphones. As usual below it, there’s the Zen inspired concentric design. ( I do feel the white one looks better than the black one). Next, the Zenfone Max has a 720p HD display with Corning Gorilla Glass 4 protection on it. Other than that, you will notice the front 5MP camera which comes at f2.0 aperture. This smartphone comes with a big 5.5-inch LCD display. As mentioned earlier, this phone only has HD display which means it has a decent resolution and not as great as the common ones these days which is the Full HD display. I don’t really care about this as much as I care about its battery life as the 5000mAh battery will give the added advantage as the display does not consume as much power as other higher resolution displays out there. Its your pick to choose from, battery or better display? The ASUS Zenfone Max runs on Qualcomm’s Snapdragon 410 Quad core processor. This is quite an old processor and was quite commonly used those days on previous flagship devices. Why did ASUS used this processor? Well, because it has better power management. This processor does not consume as much battery as other Quad core processor that I am fond of. The newer 6xx versions could have been a better processor but it does consume extra battery power due to its 64-bit architecture. To assist the processor, 2GB of RAM will be found in this smartphone. This phone is not super smooth and not super laggy. It’s just nice and it only gets laggy when you have about 20 apps running on the background. Any lesser app than that, it will be only a little bit laggy and you can still use your phone without any problem. I started to feel irritated when it really gets super laggy when you have plenty of apps running on the background. Oh well, please do clear your background apps from time to time alright? Storage wise, 16GB of internal storage is provided and you can expand it with the micro SD card slot. The system itself takes 5.62GB out of the 16GB. I don’t store movies on my smartphone, so for me the 16GB was just right without the need of micro SD card yet for the past two weeks. Some might say that ASUS’s Zen UI is full of bloatware, well for me some of them are bloatwares while some of them really do help me a lot. For instance, the default weather app works flawlessly with its indication of temperature and weather almost accurately most of the time. Next, by default there’s a folder created named “ASUS” which has all the useful tools that I use daily such as Gallery, Contacts, Calendar, Do it Later, File Manager, Clock, Music, Calculator and Flashlight. Most of us would be definitely using these apps most of the time and categorizing it by default is a huge time saver and a plus point of using ASUS’s Zen UI. Therefore, any apps you install gets into suggested default folders that ASUS created the moment you unbox the phone. Just a quick example, when you download cinema apps such as TGV Cinemas and GSC Cinemas, it gets automatically into the “Entertainment” folder. Not bad right? Just in case you don’t see this feature set by default, please open up your App drawer, on the top right select the “3 dots to open up menu” and select “Smart Group”. The call quality on the Zenfone Max is definitely great. I’ve used the talktime a lot and realized the earpiece and loud speaker does work well on both parties. The LTE signal on Digi network that I use have been superb. Very minimal network fluctuation and most of the time being “4G”. Speaking of GPS, I was quite disappointed with the GPS strength on this smartphone. It had trouble finding for satellites most of the time with Waze as well as Google Maps. Not sure what is the problem as I’ve tried finding for the fix and nothing could get it fixed. I do feel that my unit has some sort of GPS issue and needs to be sent to the service centre for warranty claim. The 13MP camera is definitely as snappy as laser. It is quick and definitely gets sharp images most of the time. There’s no shutter lag and the focusing is fast compared to native auto focus technology. The f2.0 aperture helps in getting enough lights into the image and the output does come out well. Do check out our sample photos below and see how well the photos turn out to be. We know that the selling point of this smartphone is its 5000mAh battery. Well, to be honest the battery life of this smartphone is indeed very very good. It is excellent! I could get 9 hours of Screen On Time with 18% of battery remaining. I didn’t use any battery saving modes and it had the default setting all the way. I’ve used it for voice calls, WhatsApp, Facebook, Chrome, Waze and Instagram. The battery life could get better as I’ve seen some of my friends posting their screenshots with some of them achieving 12 hours of Screen On Time. Amazing! Wait, there’s always a catch when you get something so great. The battery takes about 5 hours to full charge from 0-100%. That is indeed quite a long time to get that done. However, I do think that when you’re about to call it a day; why not just plug it into the wall charger and go to bed. When you’re awake, it will be definitely 100%. Retailing at RM799, the ASUS Zenfone Max can be purchased directly via ASUS Malaysia’s very own online store. Feel free to visit this LINK in order to visit the official online store and get it delivered to your doorstep within 3 working days.